A young conductor (21 yr old) was accidentally left behind by the train he was supposed to be performing his duties on. 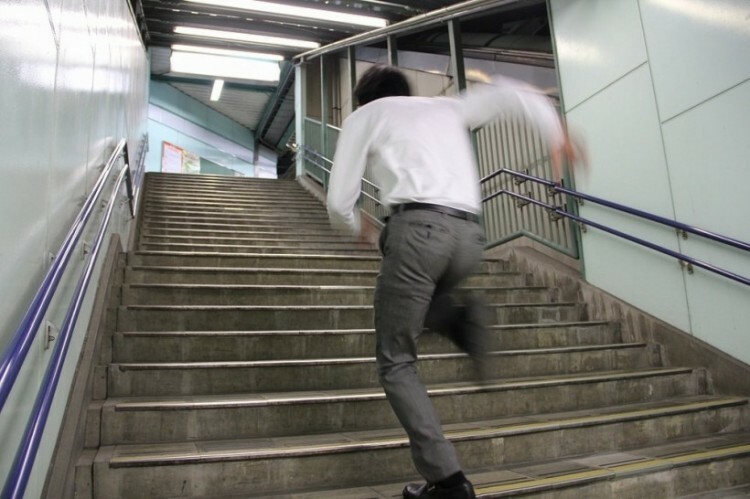 He made full use of his youth and made a 700-meter dash from Kitashinagawa station to Shimbaba station. The resulting delay (while waiting for him) was a mere 5 minutes. Being in Japan, you can always expect someone to overdo things. And that someone (see image above) put the same platform-to-platform 700 meter dash to the test and made it in 2 minutes 38 seconds. The screenshot detailing the reason for a delay on the Hanshin Line in Hyogo was taken by a twitter user. Apparently, a dog on the tracks had to be captured and the process took 15 minutes. A bunch of the internet’s favourite tubers (the root, not the video maniac) were found scattered over a rail crossing along the Odakyu-Enoshima Line. Announcement was made stating that “there will be a delay as vegetables have found their way onto the tracks”.